Prepare to get immersed in a stunning MMO world of magic! - Enjoy a true real-time massively multiplayer (MMORPG) experience with open maps, dungeons, pvp, pets, crafting and more! - Savor a MMORPG gameplay injected with action-packed combat and stunning skills as you hack and slash your enemies. - Embark on an epic quest to learn to fly on a broom, party up with other adventurers, and make your way through countless dungeons. - Acquire new weapons & gear sets, or use fantasy costumes such as Pirate or Caveman to customize your champion! - Collect unique and cute Pets: Rabbit, Lion, Tiger, Unicorn, Dragons, and more! - Join dedicated servers for your region (North America West & East Coast at launch). - Chat with other online players, friends, guild mates in the MMO World. - Trade with players in the Auction House. 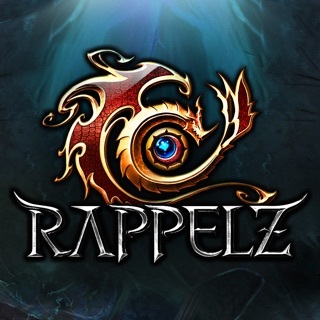 - Go solo or group with up to 3 other players in countless PvE Dungeons and collect epic loots. - Raid with your guild mates to defeat the Bosses in the Guild Dungeon. - Fight or Flee: free open PVP and PK in the MMO world! - Combat with your 4 Guildmates in the 40 players Guild Battlefield, or enter the 20vs20 Team Battlefield. - Launch Event: enjoy multiple events and rewards to celebrate the launch! - Participate in the daily and seasonal events in Flyff Legacy! - Receive many daily gifts just by playing the game! Flyff Legacy is a new Anime MMORPG that all fans of PVE & PVP MMO games, Fantasy MMORPG, Anime & Manga, and Roleplaying (RPG) should try! - Flyff Legacy is a MMORPG available in English in selected countries. More countries & languages will be released soon with new servers. - After the initial download, please update and patch the whole game (~500MB total). A Wifi network is highly recommended for fast download! - Flyff Legacy is a new MMORPG with Unity engine and requires good device specs. - The recommended specs are a iPhone 5 but new devices will provide a better gameplay experience. I was a huge fan of flyff growing up and when I heard about this game like everyone, I was very excited. Obviously the capabilities of mobile gaming as it stands are very limited especially with limited funds however, I really believe getting rid of the vip system, adding the old upgraded classes like blade, psy and all those would give people incentive to want to continue playing. Also more and harder dungeons are a must which would give a great reason to add the biggest missing key in the game, the healer class :). The nostalgia of the game alone is great. Seeeing all the old monsters was awesome lol, the auto feature is a bit annoying but the higher lvl you get the less you can actually just auto when it comes to dungeons and challenges. Maybe getting rid of diamonds and focusing on making money from cosmetics only ? Games like overwatch and fortnite seem to have generated a lot of success this way and often players feel very turned off from a game that throws a lot of different “systems” at you. I actually enjoy the game and think you should deff give it a try but.... A healing class, more content, actual class upgrades, better character customization, cosmetic only cash shop would make this game one of the best on App Store with nostalgia alone. Otherwise, looking forward to future updates... or maybe a future new flyff game ? :D thanks for all you do devs ! A lot of reviews that I’ve read have stated that a lot of the game gives advantages to paying customers. Although you do get additional buff, revives and perks you can get a very high damage and excel in the game without paying. It does help out sometimes but if you aren’t looking to pay a few dollars for additional chances you’ll be fine. As long as you fuse, upgrade, and grind dungeons you’ll be on the same level as others who are lying. You also don’t need to pay to be vip, if you do dailies it actually gives you points you just need to be patient. You can also earn diamonds in the auction if you sell items that aren’t soul bound. All and all it’s a fun game that you don’t need to pay to advance. All paying does is help you do tasks quicker but at some point it does slow down and paying players will have to be waiting like non paying players to level up. Great game so far, I see a lot of potential with this game. Cheers to the devs! Flyff is off to a great start so far. Yes, there are some glitches and issues as the company scrambles to handle the unexpected server load of all the players who jumped on the chance to relive this old MMO. But overall it is polished, and just really fun! There is an auto pathing and auto fight feature, which as a full time working mom is an absolutely blessed feature - I can do quests or grind enemies while cooking dinner at the same time, and not feel pressured to keep checking my phone every few seconds. NOTE: you *can* do everything manually, the auto feature is not required. The game is very fun and I easily lose track of how much time I've been playing. Only major flaws I've seen so far are: 1) a graphical issue that doesn't display your choice of hair color/appearance from the character creation screen, and 2) this game will drain your battery VERY quickly. If you decide to play for an hour or more, be prepared to have your charger handy. © 2018 Gala Lab Corp.